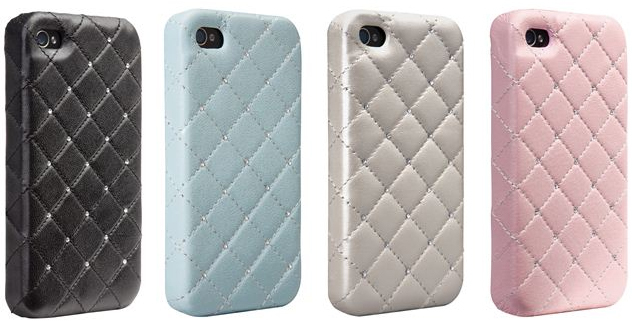 Well anyone can use Case-Mate's newest Madison Quilted cases for the both the AT&T and Verizon iPhone 4, but really, these ones are specifically for you, the ladies! The Madison Quilted iPhone 4 case is stitched for that classic fashionable look with a cushiony texture and feel and to top it all off, it's finished with Swarovski crystals. Sounds expensive? You can pick one of these up right now in four colors for $49.99. I'll take 2 please in the manly black color?